England's terrain is chiefly low hills and plains, especially in central and southern England. However, there is upland and mountainous terrain in the north (for example, the Lake District and Pennines) and in the west (for example, Dartmoor and the Shropshire Hills). 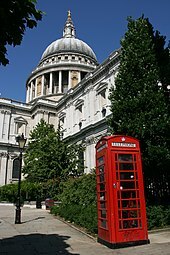 The capital is London, which has the largest metropolitan area in both the United Kingdom and the European Union. 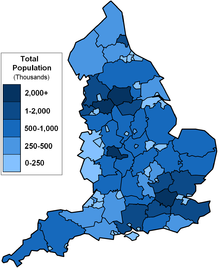 [nb 1] England's population of over 55 million comprises 84% of the population of the United Kingdom, largely concentrated around London, the South East, and conurbations in the Midlands, the North West, the North East, and Yorkshire, which each developed as major industrial regions during the 19th century. The earliest attested reference to the Angles occurs in the 1st-century work by Tacitus, Germania, in which the Latin word Anglii is used. The etymology of the tribal name itself is disputed by scholars; it has been suggested that it derives from the shape of the Angeln peninsula, an angular shape. How and why a term derived from the name of a tribe that was less significant than others, such as the Saxons, came to be used for the entire country and its people is not known, but it seems this is related to the custom of calling the Germanic people in Britain Angli Saxones or English Saxons to distinguish them from continental Saxons (Eald-Seaxe) of Old Saxony between the Weser and Eider rivers in Northern Germany. 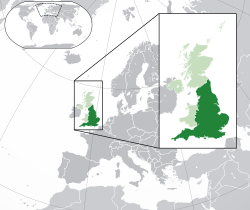 In Scottish Gaelic, another language which developed on the island of Great Britain, the Saxon tribe gave their name to the word for England (Sasunn); similarly, the Welsh name for the English language is "Saesneg". The Romans invaded Britain in 43 AD during the reign of Emperor Claudius, subsequently conquering much of Britain, and the area was incorporated into the Roman Empire as Britannia province. The best-known of the native tribes who attempted to resist were the Catuvellauni led by Caratacus. 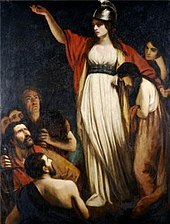 Later, an uprising led by Boudica, Queen of the Iceni, ended with Boudica's suicide following her defeat at the Battle of Watling Street. The author of one study of Roman Britain suggested that from 43 AD to 84 AD, the Roman invaders killed somewhere between 100,000 and 250,000 people from a population of perhaps 2,000,000. This era saw a Greco-Roman culture prevail with the introduction of Roman law, Roman architecture, aqueducts, sewers, many agricultural items and silk. In the 3rd century, Emperor Septimius Severus died at Eboracum (now York), where Constantine was subsequently proclaimed emperor. There are six metropolitan counties based on the most heavily urbanised areas, which do not have county councils. In these areas the principal authorities are the councils of the subdivisions, the metropolitan boroughs. Elsewhere, 27 non-metropolitan "shire" counties have a county council and are divided into districts, each with a district council. They are typically, though not always, found in more rural areas. 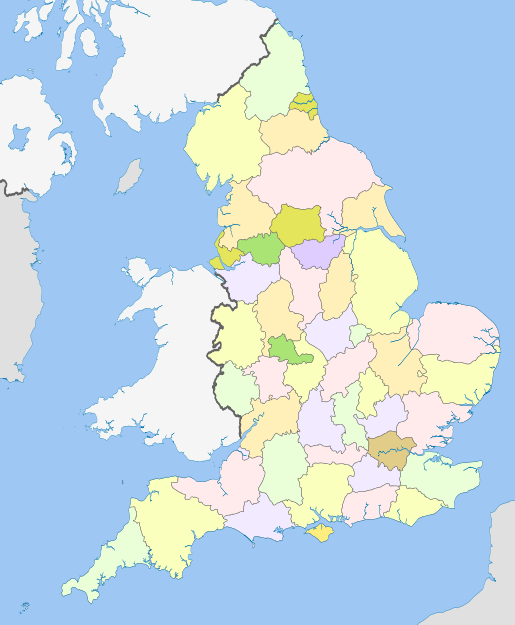 The remaining non-metropolitan counties are of a single district and usually correspond to large towns or sparsely populated counties; they are known as unitary authorities. Greater London has a different system for local government, with 32 London boroughs, plus the City of London covering a small area at the core governed by the City of London Corporation. 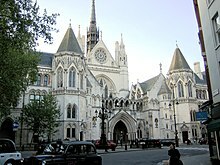 At the most localised level, much of England is divided into civil parishes with councils; in Greater London only one, Queen's Park, exists as of 2014[update] after they were abolished in 1965 until legislation allowed their recreation in 2007. Most of England's landscape consists of low hills and plains, with upland and mountainous terrain in the north and west of the country. The northern uplands include the Pennines, a chain of uplands dividing east and west, the Lake District mountains in Cumbria, and the Cheviot Hills, straddling the border between England and Scotland. The highest point in England, at 978 metres (3,209 ft), is Scafell Pike in the Lake District. The Shropshire Hills are near Wales while Dartmoor and Exmoor are two upland areas in the south-west of the country. The approximate dividing line between terrain types is often indicated by the Tees-Exe line. 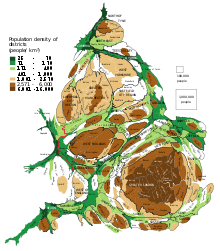 While many cities in England are quite large, such as Birmingham, Sheffield, Manchester, Liverpool, Leeds, Newcastle, Bradford, Nottingham, population size is not a prerequisite for city status. Traditionally the status was given to towns with diocesan cathedrals, so there are smaller cities like Wells, Ely, Ripon, Truro and Chichester. There are High Church and Low Church traditions and some Anglicans regard themselves as Anglo-Catholics, following the Tractarian movement. 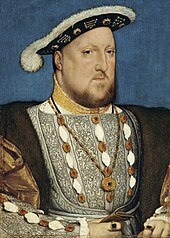 The monarch of the United Kingdom is the Supreme Governor of the Church of England, which has around 26 million baptised members (of whom the vast majority are not regular churchgoers). It forms part of the Anglican Communion with the Archbishop of Canterbury acting as its symbolic worldwide head. 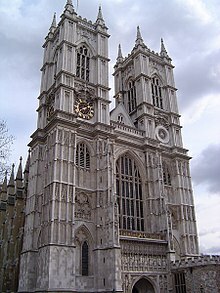 Many cathedrals and parish churches are historic buildings of significant architectural importance, such as Westminster Abbey, York Minster, Durham Cathedral, and Salisbury Cathedral. Since the early modern period the food of England has historically been characterised by its simplicity of approach and a reliance on the high quality of natural produce. 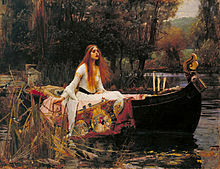 During the Middle Ages and through the Renaissance period, English cuisine enjoyed an excellent reputation, though a decline began during the Industrial Revolution with the move away from the land and increasing urbanisation of the populace. The cuisine of England has, however, recently undergone a revival, which has been recognised by food critics with some good ratings in Restaurant's best restaurant in the world charts. An early book of English recipes is the Forme of Cury from the royal court of Richard II. 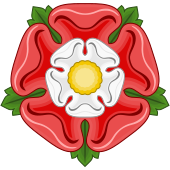 Traditional examples of English food include the Sunday roast, featuring a roasted joint (usually beef, lamb, chicken or pork) served with assorted vegetables, Yorkshire pudding and gravy. 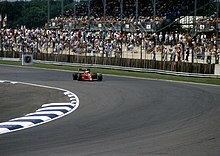 Other prominent meals include fish and chips and the full English breakfast (generally consisting of bacon, sausages, grilled tomatoes, fried bread, black pudding, baked beans, mushrooms and eggs). Various meat pies are consumed, such as steak and kidney pie, steak and ale pie, cottage pie, pork pie (usually eaten cold) and the Cornish pasty. Common non-alcoholic drinks include tea, the popularity of which was increased by Catherine of Braganza, and coffee; frequently consumed alcoholic drinks include wine, ciders and English beers, such as bitter, mild, stout and brown ale. Early English composers in classical music include Renaissance artists Thomas Tallis and William Byrd, followed up by Henry Purcell from the Baroque period. German-born George Frideric Handel became a British subject and spent most of his composing life in London, creating some of the most well-known works of classical music, The Messiah, Water Music, and Music for the Royal Fireworks. 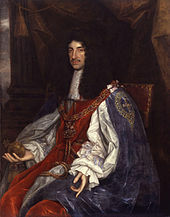 One of his four Coronation Anthems, Zadok the Priest, composed for the coronation of George II, has been performed at every subsequent British coronation, traditionally during the sovereign's anointing. There was a revival in the profile of composers from England in the 20th century led by Edward Elgar, Benjamin Britten, Frederick Delius, Gustav Holst, Ralph Vaughan Williams and others. Present-day composers from England include Michael Nyman, best known for The Piano, and Andrew Lloyd Webber, whose musicals have achieved enormous success in the West End and worldwide. Large outdoor music festivals in the summer and autumn are popular, such as Glastonbury, V Festival, and the Reading and Leeds Festivals. The most prominent opera house in England is the Royal Opera House at Covent Garden. The Proms – a season of orchestral classical concerts held primarily at the Royal Albert Hall in London – is a major cultural event in the English calendar, and takes place yearly. The Royal Ballet is one of the world's foremost classical ballet companies, its reputation built on two prominent figures of 20th-century dance, prima ballerina Margot Fonteyn and choreographer Frederick Ashton. England (and the UK as a whole) has had a considerable influence on the history of the cinema, producing some of the greatest actors, directors and motion pictures of all time, including Alfred Hitchcock, Charlie Chaplin, David Lean, Laurence Olivier, Vivien Leigh, John Gielgud, Peter Sellers, Julie Andrews, Michael Caine, Gary Oldman, Helen Mirren, Kate Winslet and Daniel Day-Lewis. Hitchcock and Lean are among the most critically acclaimed filmmakers. Hitchcock's first thriller, The Lodger: A Story of the London Fog (1926), helped shape the thriller genre in film, while his 1929 film, Blackmail, is often regarded as the first British sound feature film. 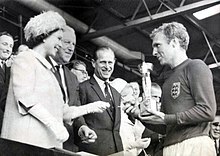 At club level, England is recognised by FIFA as the birthplace of club football, due to Sheffield F.C. founded in 1857 being the world's oldest club. The Football Association is the oldest governing body in the sport, with the rules of football first drafted in 1863 by Ebenezer Cobb Morley. The FA Cup and The Football League were the first cup and league competitions respectively. In the modern day, the Premier League is the world's most-watched football league, most lucrative, and amongst the elite. Cricket is generally thought to have been developed in the early medieval period among the farming and metalworking communities of the Weald. The England cricket team is a composite England and Wales, team. One of the game's top rivalries is The Ashes series between England and Australia, contested since 1882. 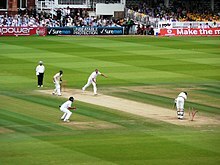 The climax of the 2005 Ashes was viewed by 7.4 million as it was available on terrestrial television. England has hosted four Cricket World Cups (1975, 1979, 1983, 1999) and will host the 2019 edition, but never won the tournament, reaching the final 3 times. However they have hosted the ICC World Twenty20 in 2009, winning this format in 2010 beating rivals Australia in the final. In the domestic competition, the County Championship, Yorkshire are by far the most successful club having won the competition 32 times outright and sharing it on 1 other occasion. Lord's Cricket Ground situated in London is sometimes referred to as the "Mecca of Cricket". Rugby union originated in Rugby School, Warwickshire in the early 19th century. The England rugby union team won the 2003 Rugby World Cup, with Jonny Wilkinson scoring the winning drop goal in the last minute of extra time against Australia. England was one of the host nations of the competition in the 1991 Rugby World Cup and also hosted the 2015 Rugby World Cup. The top level of club participation is the English Premiership. Leicester Tigers, London Wasps, Bath Rugby and Northampton Saints have had success in the Europe-wide Heineken Cup. Rugby league was born in Huddersfield in 1895. Since 2008, the England national rugby league team has been a full test nation in lieu of the Great Britain national rugby league team, which won three World Cups but is now retired. Club sides play in Super League, the present-day embodiment of the Rugby Football League Championship. Rugby League is most popular among towns in the northern English counties of Lancashire, Yorkshire and Cumbria. All eleven English clubs in Super League are based in the north of England. Some of the most successful clubs include Wigan Warriors, Hull F.C. St. Helens, Leeds Rhinos and Huddersfield Giants; the former three have all won the World Club Challenge previously. Golf has been prominent in England; due in part to its cultural and geographical ties to Scotland, the home of Golf. There are both professional tours for men and women, in two main tours: the PGA and the European Tour. England has produced grand slam winners: Cyril Walker, Tony Jacklin, Nick Faldo, and Justin Rose in the men's and Laura Davies, Alison Nicholas, and Karen Stupples in the women's. The world's oldest golf tournament, and golf's first major is The Open Championship, played both in England and Scotland. The biennial golf competition, the Ryder Cup, is named after English businessman Samuel Ryder who sponsored the event and donated the trophy. Nick Faldo is the most successful Ryder Cup player ever, having won the most points (25) of any player on either the European or US teams. Tennis was created in Birmingham in the late 19th century, and the Wimbledon Championships is the oldest tennis tournament in the world, and widely considered the most prestigious. Wimbledon is a tournament that has a major place in the British cultural calendar. Fred Perry was the last Englishman to win Wimbledon in 1936. He was the first player to win all four Grand Slam singles titles and helped lead the Great Britain team to four Davis Cup wins. English women who have won Wimbledon include: Ann Haydon Jones in 1969 and Virginia Wade in 1977. Originating in 17th and 18th-century England, the thoroughbred is a horse breed best known for its use in horse racing. The National Hunt horse race the Grand National, is held annually at Aintree Racecourse in early April. It is the most watched horse race in the UK, attracting casual observers, and three-time winner Red Rum is the most successful racehorse in the event's history. Red Rum is also the best-known racehorse in the country. Darts is a widely popular sport in England; a professional competitive sport, darts is a traditional pub game. The sport is governed by the World Darts Federation, one of its member organisations is the BDO, which annually stages the Lakeside World Professional Championship, the other being the Professional Darts Corporation (PDC), which runs its own world championship at Alexandra Palace in London. Phil Taylor is widely regarded as the best darts player of all time, having won 187 professional tournaments, and a record 16 World Championships. Trina Gulliver is the ten-time Women's World Professional Darts Champion of the British Darts Organisation. Another popular sport commonly associated with pub games is Snooker, and England has produced several world champions, including Steve Davis and Ronnie O'Sullivan. 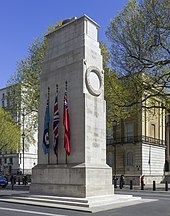 The St George's Cross has been the national flag of England since the 13th century. Originally the flag was used by the maritime Republic of Genoa. 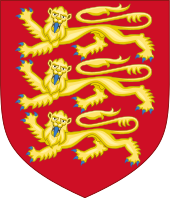 The English monarch paid a tribute to the Doge of Genoa from 1190 onwards so that English ships could fly the flag as a means of protection when entering the Mediterranean. A red cross was a symbol for many Crusaders in the 12th and 13th centuries. 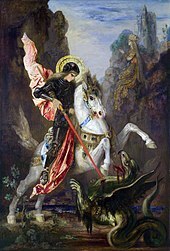 It became associated with Saint George, along with countries and cities, which claimed him as their patron saint and used his cross as a banner. Since 1606 the St George's Cross has formed part of the design of the Union Flag, a Pan-British flag designed by King James I. During the English Civil War and Interregnum, the New Model Army's standards and the Commonwealth's Great Seal both incorporated the flag of Saint George. 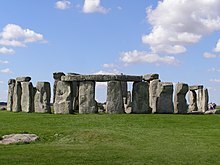 ^ a b People who strictly identified as "Pagan". Other Pagan paths, such as Wicca or Druidism, have not been included in this number. ^ People who strictly identified as "Wiccan". Other Pagan paths, such as Druidism, and general "Pagan" have not been included in this number. ^ While people such as Norman Foster and Richard Rogers represent the modernist movement, Prince Charles since the 1980s has voiced strong views against it in favour of traditional architecture and put his ideas into practice at his Poundbury development in Dorset. Architects like Raymond Erith, Francis Johnson and Quinlan Terry continued to practise in the classical style. 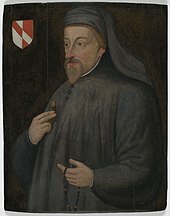 ^ These tales may have come to prominence, at least in part, as an attempt by the Norman ruling elite to legitimise their rule of the British Isles, finding Anglo-Saxon history ill-suited to the task during an era when members of the deposed House of Wessex, especially Edgar the Ætheling and his nephews of the Scottish House of Dunkeld, were still active in the isles. Also Michael Wood explains; "Over the centuries the figure of Arthur became a symbol of British history – a way of explaining the matter of Britain, the relationship between the Saxons and the Celts, and a way of exorcising ghosts and healing the wounds of the past." ^ Keating, Michael (1 January 1998). "Reforging the Union: Devolution and Constitutional Change in the United Kingdom". Publius: The Journal of Federalism. 28 (1): 217. doi:10.1093/oxfordjournals.pubjof.a029948. Retrieved 4 February 2009. ^ Spratt, H. P. (1958). "Isambard Kingdom Brunel". Nature. 181 (4626): 1754. Bibcode:1958Natur.181.1754S. doi:10.1038/1811754a0. Archived from the original on 12 September 2009. Retrieved 5 September 2009. 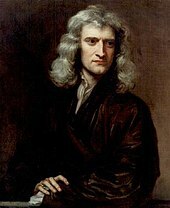 ^ Thomas, M.G. ; Stumpf, M.P. ; Härke, H. (2006). 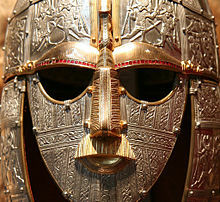 "Evidence for an apartheid-like social structure in early Anglo-Saxon England". Proceedings: Biological Sciences. 273 (1601): 2651–7. doi:10.1098/rspb.2006.3627. PMC 1635457. PMID 17002951. ^ Mark Ellis Jones, 'Little Wales beoynd England: the struggle of Selattyn, a Welsh parish in Shropshire', Journal of the National Library of Wales,, 31.1 (1999), pp. 132–3. ^ Caudwell, J.C. (2011). "'Does your boyfriend know you're here?' The spatiality of homophobia in men's football culture in the UK". Leisure Studies. 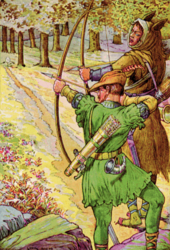 30 (2): 123–138. doi:10.1080/02614367.2010.541481. Goldberg, Jeremy (1996). "Introduction". In Mark Ormrod & P.G. 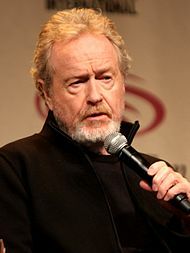 Lindley. The Black Death in England. Stamford: Paul Watkins. ISBN 978-1-871615-56-2.